According to the 2016 Census, almost 95,000 people worked mainly, or entirely, at home. Another 174,000 people said they had no fixed place of work. 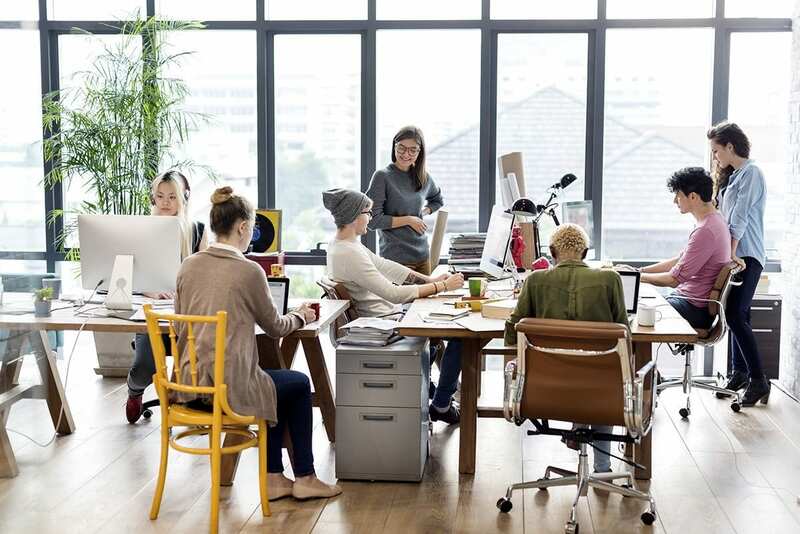 Now many of them may be freelancers, contractors or tradespeople – but an increasing number are employees who might previously have sat at a desk in a city centre office. They are part of the move towards remote or virtual working – a topic that was discussed at the Future of Work Summit in TU Dublin today. “It’s a growing phenomenon,” said Alex Gibson of the college of business at TU Dublin, and organiser of the event. “We’ve seen an 18% increase in people designated as no fixed workplace. “From a technological university perspective we’re interested in the impact of technologies on the future workplace, particularly immersive technologies like virtual and augmented reality,” he said. But it’s not just an academic matter – as Mr Gibson said remote working is also on the policy agenda of business and enterprise bodies seeking to create a better regional spread of jobs in the country. There are plenty of hurdles to a successful implementation of remote working, however, not least companies’ concerns about the impact it may have on their bottom line. However Mr Gibson says there is evidence to suggest that remote workers are actually more productive than their HQ-based equivalents, as they are no longer distracted by the activity of an open plan office. Such a set up also opens the door to new types of opportunities, Mr Gibson says. “There are also gains for companies in terms of the rich cultural interaction that virtual workers can have, for example in co-working spaces,” he said. “It’s not really a case that people are working 100% from home, what we’re seeing is a hybrid model. The shift towards remote working has not been a smooth one, however. Some big firms, including IBM, reversed remote working policies. Part of the concern is the damage remote working can do to relationship building amongst staff, or how it snuffs out chance meetings and discussions between employees. Mr Gibson says that is a concern, as is the threat of employee isolation, but all of this can be worked around. There may also be a cost involved in implementing this effectively, however there is also a potential cost saving if done correctly. “If you can regionally disperse your workforce, that’s a factor as well, because of the salaries you might have to pay,” Mr Gibson said.